Changeable weather continued into this last pentad of Spring ,which included a rainy day on Thursday November 3rd with 19.8mm recorded at Bellambi (AWS), a warm night with an overnight minimum of 18°C on Sunday November 6th followed by a hot and muggy day with a maximum of 27.7°C. In this period, many creatures alighted the backyard’s mulberry tree, including Hollis and myself. A couple of years ago, the mulberry tree had a bumper harvest, thanks in part to sensible pruning and a good feed in late winter. Berries from one branch alone were ample for desserts of all kinds and enough jam to be given away. That year’s fruit crop has never been bettered, but we were still hopeful when the tree began to flower in late August. The reality, however, is that sharing the produce between humans and other creatures just doesn’t leave much for my grand plans. Nevertheless, I accumulated enough fruit for Hollis and I to make some jam to go with some scones one morning. 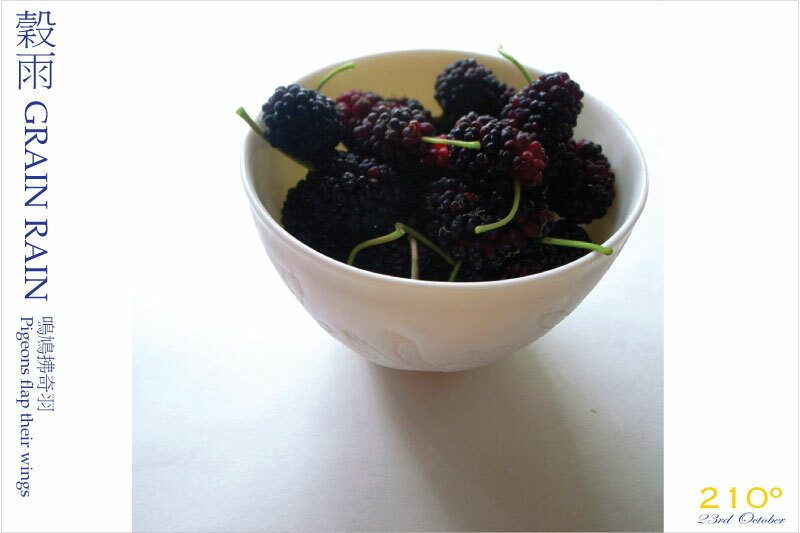 With Hollis standing on a stepladder at the kitchen bench, we pulled out the mulberry stems. We cooked the fruit in a pot with lemon juice and added warm sugar to the softened berries. As the fruit and sugar mixture was boiling, we began to make scones. Not long after, we put the scones in the oven and set the timer for 10 minutes. We left the jam to continue to boil and Hollis got out Pugwash Aloft. Cut-throat Jake launched a steath attack on Captain Pugwash whose only escape from his wicked enemy was up a mast. Suddenly there was an ear-piercing beeping that was getting louder. Then the deafening house alarm sounded and panic ensued! Redmond rushed up the stairs from the studio below. Hollis and I got up from the floor to a room filled with smoke. As I rushed outside with my hands covering Hollis’s ears, I saw the pot of jam smoking! Doors were flug open, the fire extinguisher swiftly appeared, and the pot, moments from catching on fire, was tossed out! Using a broom stick, Redmond switched off the fire alarm. After a short while, the smoke dissapated. All that remained of the jam was a pot of smoldering carbonised mass. Just then, the timer went off – the scones were ready, but now with no jam! We contended ourselves with marmalade made last winter. In the space of 5 days I have again collected a tub of mulberries and perhaps I may try again, but this time I will be sure not to invovle Captain Pugwash!